How Much is That Beatle Autograph Worth? We don’t collect Beatle memorabilia like autographs, signed photos, tickets, posters, toys and such – but many people do. If you have an authentic Beatle photograph which is autographed by one or more of the band you might be wondering what it’s worth. And is it increasing in value as the years go by? Well, it turns out that signed Beatle photographs appear to be a pretty good investment. That’s according to the PFC40 Autograph Index, compiled by Paul Fraser Collectibles. Their list tracks the values of 40 of the world’s most sought-after autographs since the year 2000. The prices given are an evaluation of the market value for a fully authenticated, best quality signed photo, based on close monitoring of dealer and auction sales. (A “best quality” example will feature a photograph in superb condition, depicting the subject in their most famous era, with a sharp, clear signature acquired during that period). In 2013-2014 one of the top performing autographs was Paul McCartney’s, with an increase in value for the year of +25%. Over the ten year period 2000-2014 the top performing autograph was George Harrison’s with a staggering +1,694.9% increase over that period. The Beatles as a group appear twice in the Top 40 list for 2000-2014, as do all four individual Beatles – John Lennon (+900% over 15 years), Paul McCartney (+1328.6% over 15 years), George Harrison (see above), and Ringo Starr (+541% over 15 years). 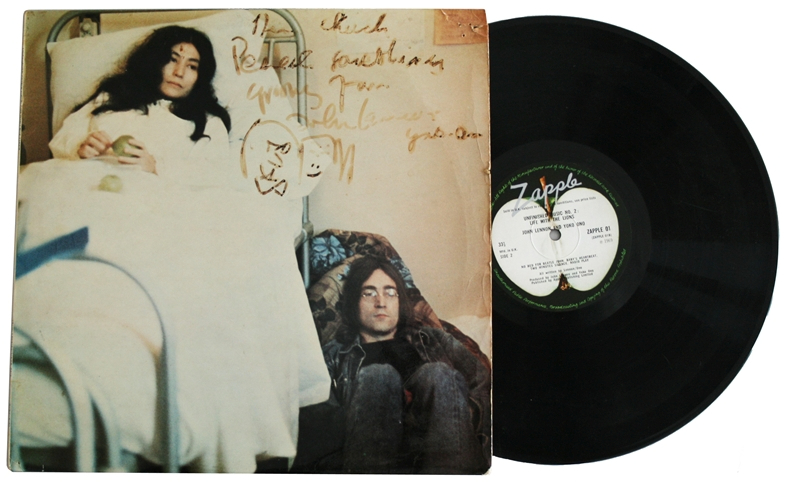 So, hang on to those autographs – especially if they are on photographs or album covers. 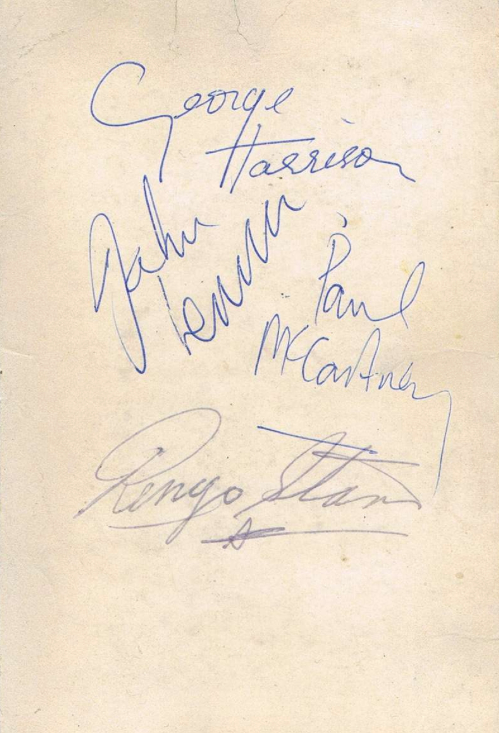 This entry was posted in Beatles, Beatles Collecting, George Harrison, John Lennon, Paul McCartney, Ringo Starr and tagged Autographs, Beatles, Beatles Collecting, George Harrison, John Lennon, Paul McCartney, Ringo Starr by beatlesblogger. Bookmark the permalink. Looks like a typical ringo 90s Autograph to me . I have a love me do 45 and 6 black and white photographs of them when they first came to the United States.I also have 3 1964 teen magazine of witch one looks to be signed by all fore on the back. WHAT DO I DO WITH THEM who do I trust to get a honest appraisal. 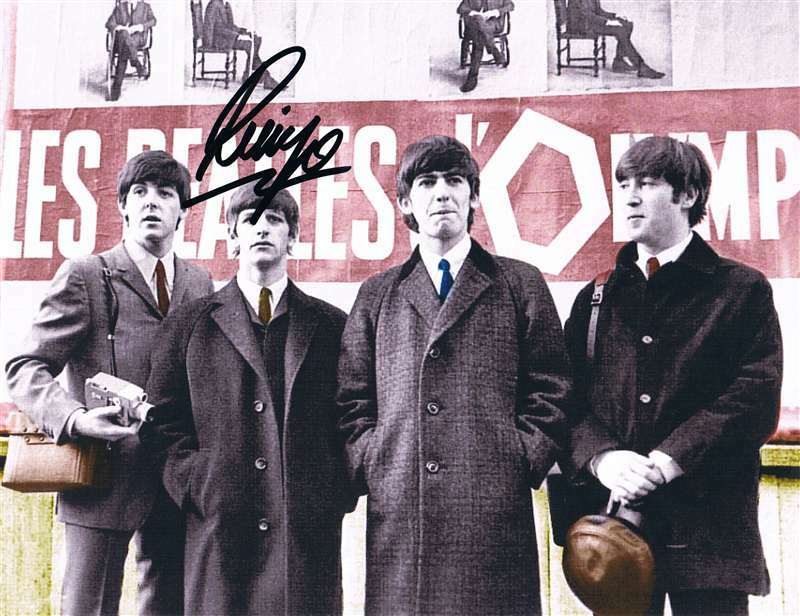 I have a singned picture of all four Beatles in poor condition but legiable signatures and clarity of photo. How much would that be worth? 1964. Good morning, how are you? 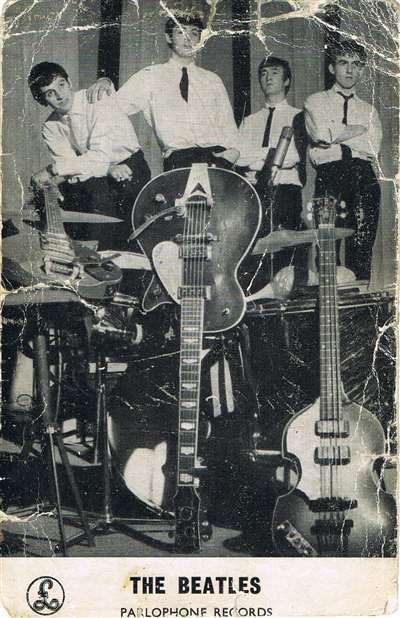 In 1963 my Aunt sent a letter to the Beatles and received a photo autographed by the 4 members, how can she confirm and know the market value today?